Guymon Physical Therapy and Wellness (GPTW), which provides physical therapy services at Southwest Medical Center, has announced a name change for their Liberal location. The service, now called Integrative Physical Therapy at Southwest Medical Center, operates both inpatient and outpatient physical therapy services. Integrative Physical Therapy was originally established as GPTW in 2012 by company owner, Jacob Tuttle, MPT. Over the years, Tuttle has expanded the business to include The Machine Shop, a wellness gym in Guymon, as well as contract services at Southwest Medical Center in Liberal, Heritage Community assisted living locations, Accolade Homecare and Hospice, and Mayes Home Health. 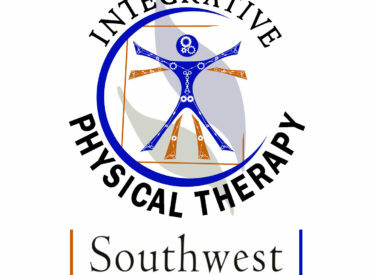 Services provided by Integrative Physical Therapy at Southwest Medical Center include a wide range of services, such as inpatient and outpatient physical therapy, integrative dry needling, injury prevention and recovery, and treatment of workplace or automobile injuries. The Liberal location includes two doctorate level physical therapists, two master’s level physical therapists, two physical therapy assistants, and a physical therapy technician. Therapist at IPT-SWMC offer a combined 60 years of experience and are well versed in the treatment of patients of all ages. Director Jacob Tuttle, MPT, explains the new name reflects the comprehensive approach between IPT and Southwest Medical Center. Integrative Physical Therapy at Southwest Medical Center is conveniently located inside Southwest Medical Center. Their team accepts new patients and most major insurances. For more information about services provided by Integrative Physical Therapy at Southwest Medical Center or to make an appointment, please call (620) 629-6390. Additional information is available at www.guymonpt.com.